Beautiful stuff as always Roza. 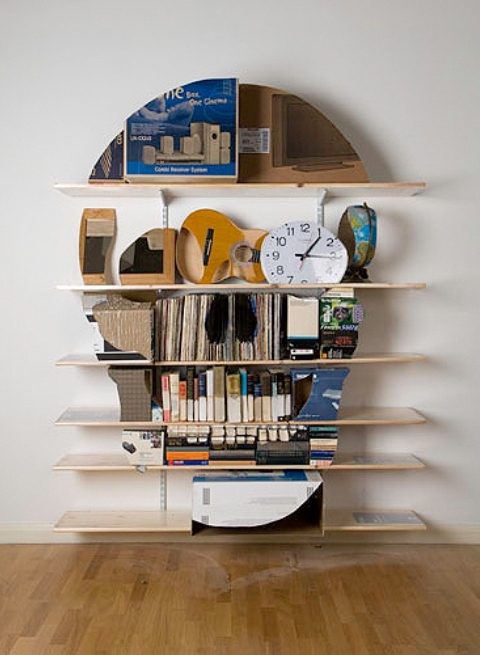 I really think it is great. Keep up the good work. 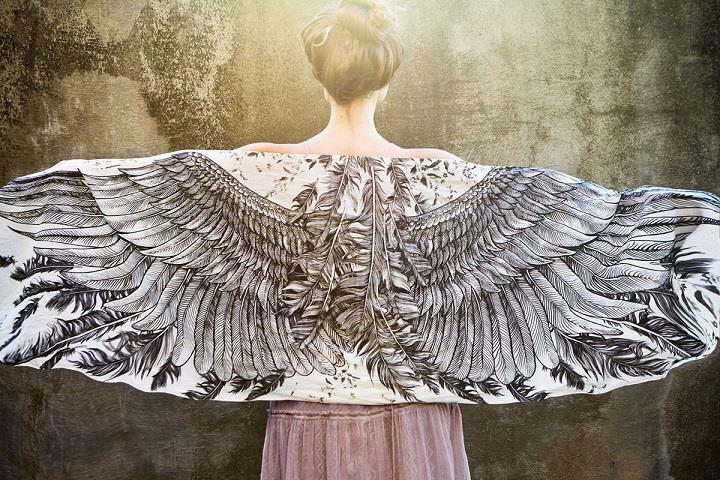 Where I can get the beautiful wing scarves???!! Price?? Thanks! 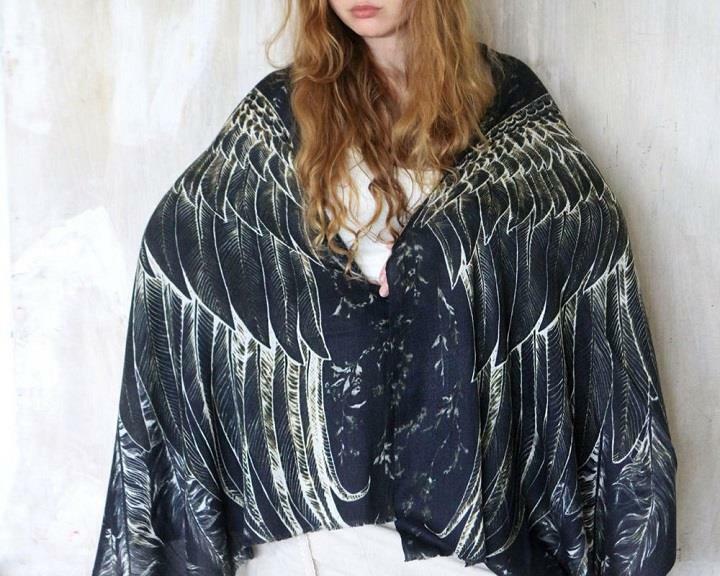 Black Wings scarf and feathers, can you do that in cashmere for me? Your work is beautiful. Scarves are absolutely exquisite. ..! I have a friend who participates in American Indian pow wows and happens to have cancer……she has to have one of these scarves. I need a price list please and THANK YOU. 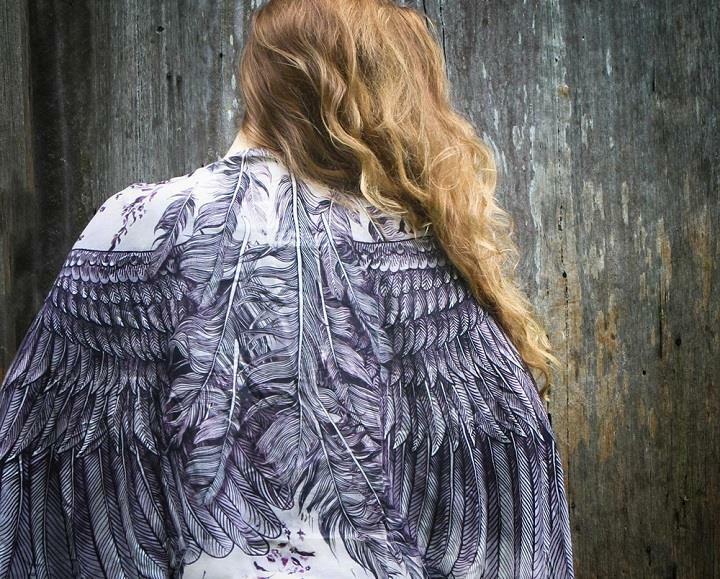 I love your wing scarves, where can I buy them? 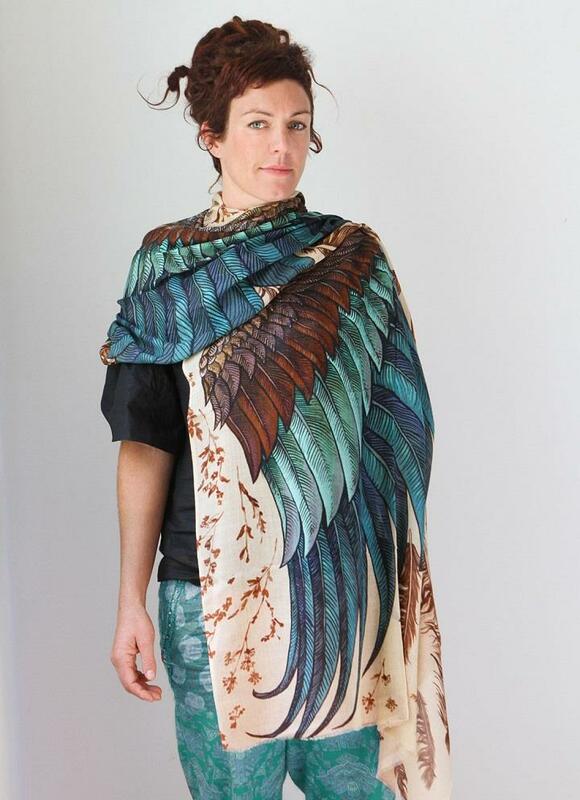 I am in love with your work and would like to order two scarves for Christmas. Both in cotton. 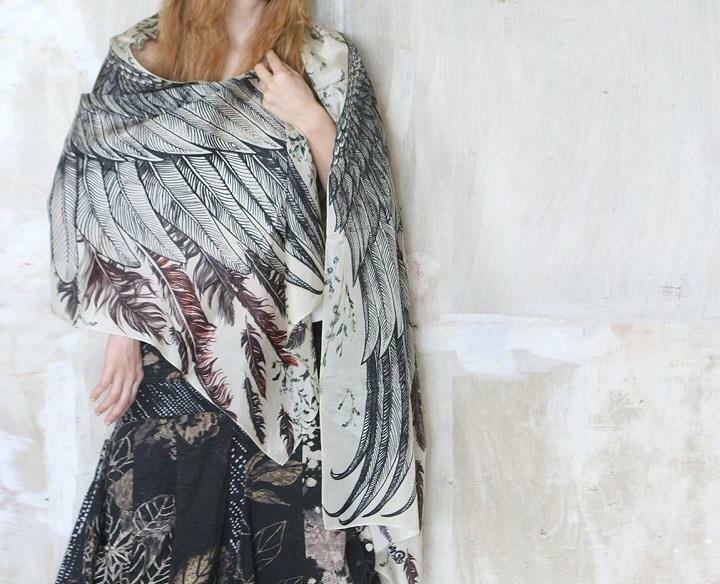 I would like the Green Vintage wrap and the Night Owl wrap. I have been trying to order on your Etsy shop put don’t seem to be able to get through. (keeps saying I have a bad link). I live in USA and will pay your shipping. Please reply. Thanks! I would love to see a price list. 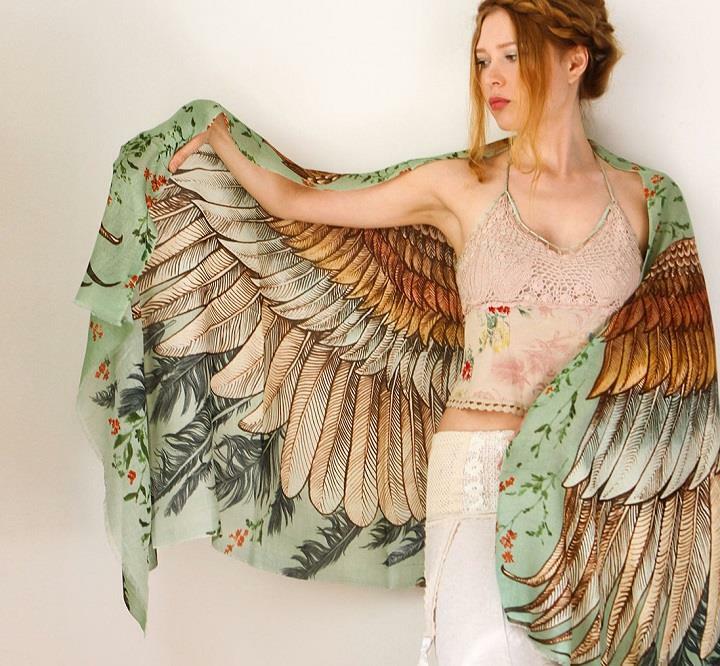 The winged scarves are absolutely stunning. 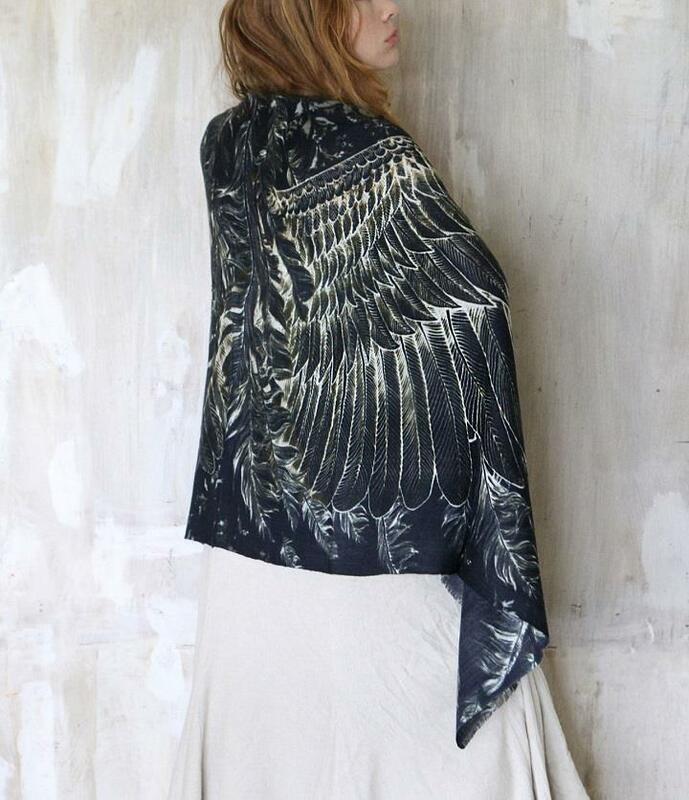 please let me know how to purchase any of these scarves, they are awesome, and that is an understatement. where can I buy one of these. Stunning!! Are they for purchase? If so, how do I order them and what are the prices ? Many thanks !! Hello, I just received an Owl Scarf and she is magnificent. A special bird for me. Thank you for using your talent so splendidly. 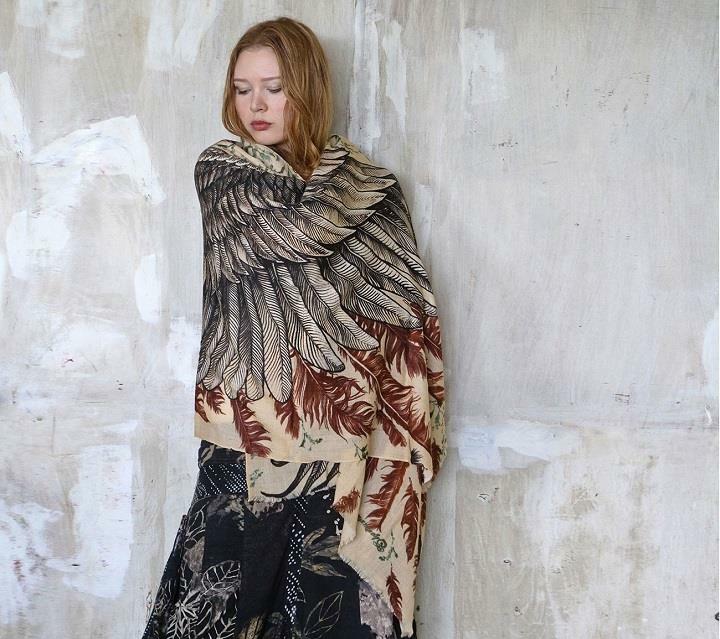 I would like to know if the scarf is silk, it feels like it, and any special way of washing it if necessary; I know “gently”, but, is it silk or cotton? I paid almost $100 for it(if that helps to determine it). I live in USA. Thank you again, for painting it firstly and then sharing it.